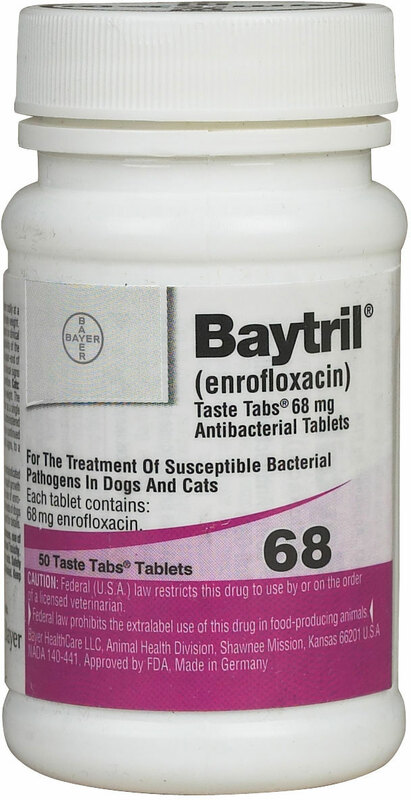 Baytril is a prescription antibiotic used to treat infections in dogs and cats, such as urinary tract, prostate, skin, liver, lungs and gastrointestinal tract. 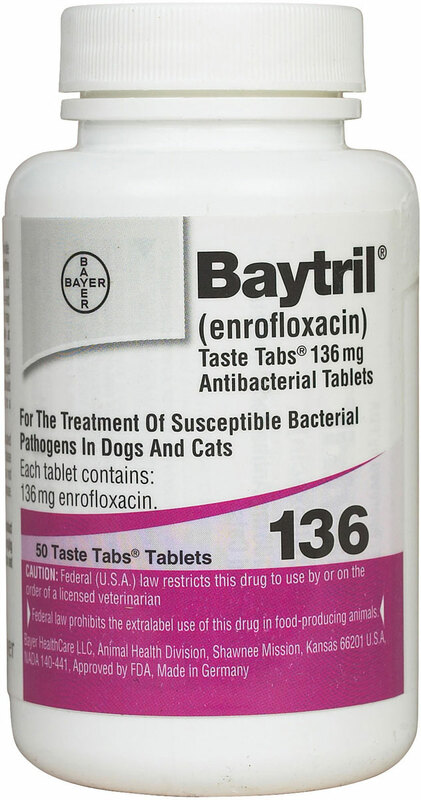 Baytril is sold per tablet. 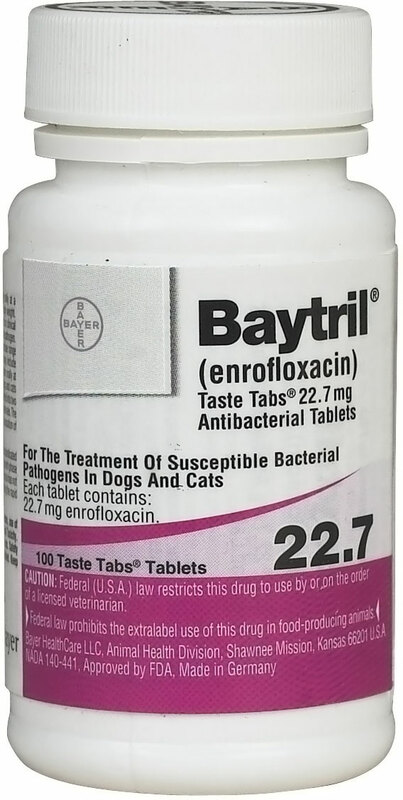 Baytril is available in 22.7 mg, 68 mg, and 136 mg Taste Tabs. Directions for dogs: Give 2.27-9.07mg/pound by mouth either once a day as a single dose or divided into two doses 12 hours apart. Directions for cats: Give 2.27mg/pound by mouth either once a day as a single dose or divided into two doses 12 hours apart.